NOTD: Barry M Gelly "Acai Smoothie"
This is one of the new Gelly colours for spring 2016 from Barry M! Usually I find nail polish colours are a bit meh for spring, very pastelly and thus streaky to apply. But not so with this beauty! This is 2 coats and Bourjois 3D Gel top coat.  Perfect coverage, lovely formula! :) I love this colour, very spring-like yet punchy enough to not be Easter egg sweet! NOTD: Nicole by OPI Roughles "Sand in my shoe"
Started the Easter manicure vibe early, so kill me :) I have nothing to say about this polish other than that I just freakin' love it! It already featured in the 2014 "Top 5 Polishes", it was the star of my 6th year anniversary and it was bloody hard to get hold of!! This is 1 coat with no top coat. Wears like iron, and definitely still one of my most unique nail polishes! :) All hail!! 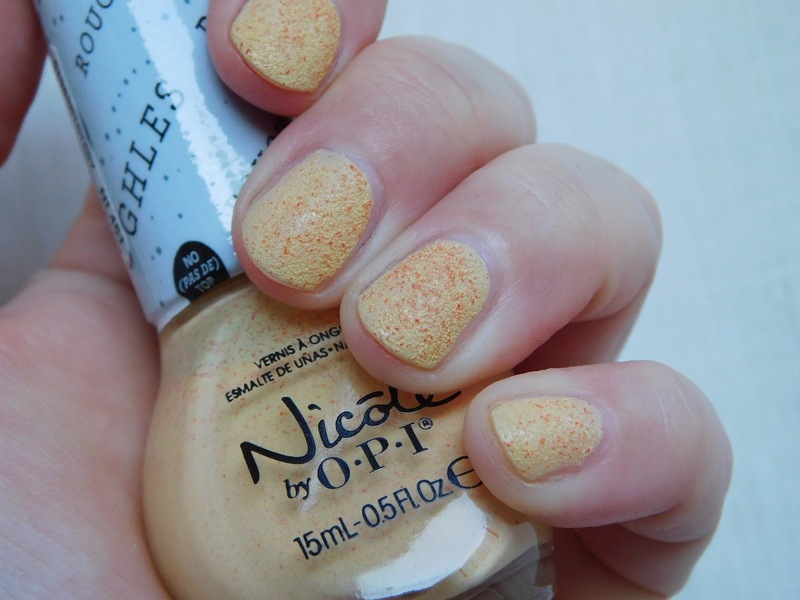 Just, ehm, OPI why don't Nicole by OPI sell in the UK?.. Superdrug tried it, but they are now just nowhere to be found? Why??? 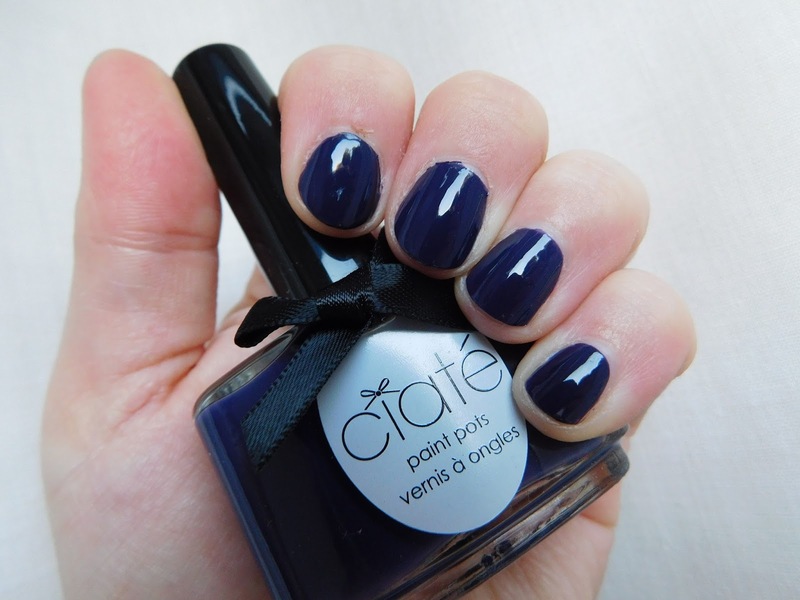 This polish came free with the March InStyle UK magazine; they had some rather dull-looking nudes/pinks as well but it was this dark purple-blue that caught my eye. You should still be able to get the March issue in the shops probably until next week. As you may know I am not a massive fan of the 'nearly black' look. It kind of annoys me. But this seemed less black in the bottle than it actually is on the nail? Unfortunately for me it's starting to bug me with it's nearly blackness now, so I think this may disappear into the Helmer drawers never to see the light of day again. Which reminds me, must do a blog sale. Don't get me wrong, it's a decent polish I just don't care much for the colour now. I did 2 coats here with top coat. Fairly standard creme formula, good coverag. I did manage to flood my cuticle at one point but I think that may have been due to watching TV whilst I should have been concentrating... Seems to have worn well through the day at the office with typing and some filing. 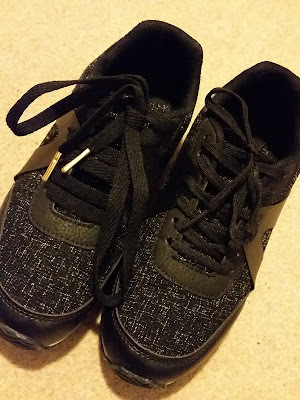 I will also show you my pimped Asda trainers with my new Mr Lacy Fatties gold tipped laces... 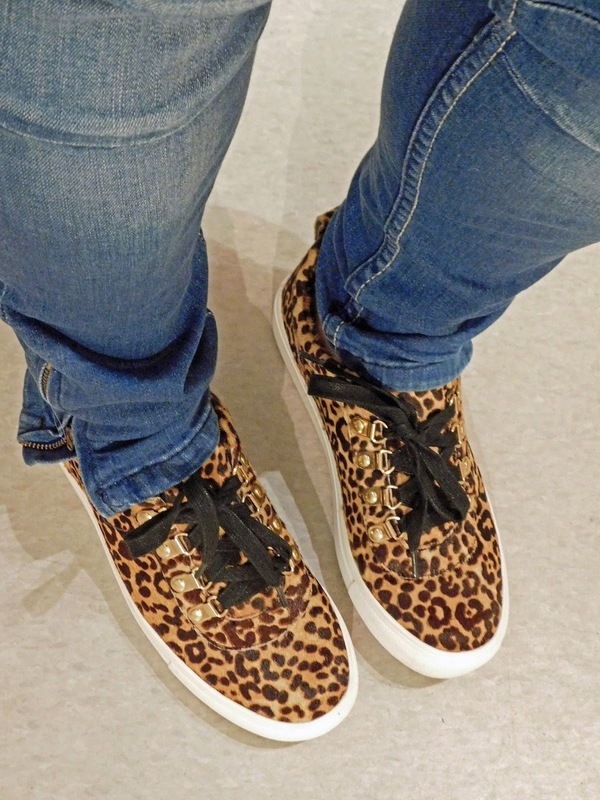 They are synthetic and less expensive so have already been worn despite wet weather! But they still look very cool! NOTD: Rimmel Rita Ora "Go Wild-erness"
I got this for my Xmas from my friend, and for some reason it's taken me ages to put it on!! Once topped with top coat though I really like the colour! :) Please ignore the scabby cuticle on my index finger, I got my finger caught in my storage cupboard door last week at work... It's not as inflamed as it was but still pretty tender. Eeek!! There was a lot of blood, and some swearing. Anyway I'm off to catch up on some admin, but I will try and do a new formula for reviews at the weekend so stay tuned for that. I found my YouTube videos were getting longer and longer so I'm now going to try a "5 minute review:" formula! NOTD: Rococo "Spellbound" Molten Lava + PANCAKES!! This is another one of the Space.NK bargains I got in the Boxing Day sales. I again had a duff brush on this and had to trim it with scissors! I did 2 thick-ish coats here topped with Bourjois 3D gel top coat. I see some shrinkage on some nails and I think possibly the polish and the top coat are not very compatible? But it looks ace nonetheless! Once I'd trimmed the brush the formula was amazingly opaque and smooth to apply. The shimmer is intense outdoors but more subdued in indoor lighting. But it's not one of those annoying 'almost black' colours which is good :) Another bargain that has turned out amazing! Can't wait to try the pink one now. 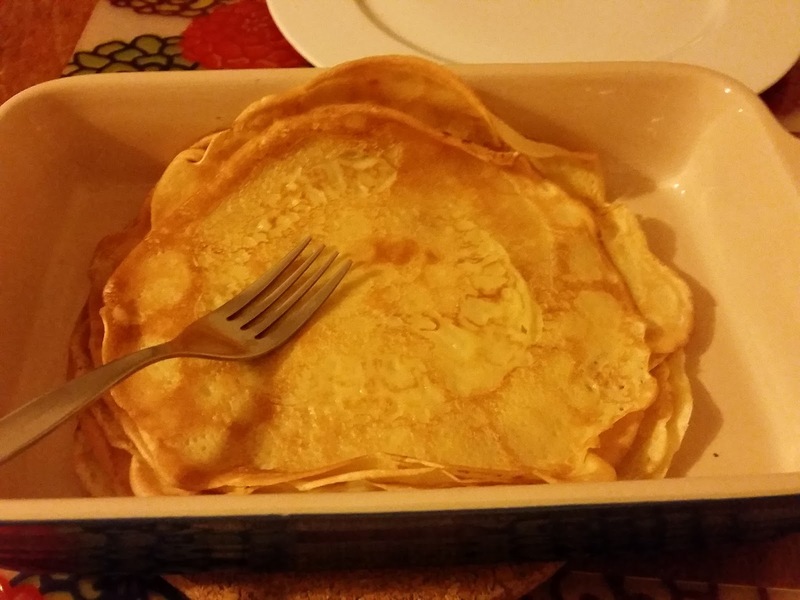 And today is Pancake Day, so of course I made Swedish pancakes! Whisk ingredients together until lump-free and let the batter sit for 15min. This swells the flour properly and means they won't taste of flour! Put a small amount of batter in the pan and swish round so it's very thin. Use a proper pancake pan and a few small blobs of Flora Cuisine to fry them (you will need to hunt a proper pancake pan down, and they're not cheap!). Fry the first side until 'set' on top (should take 30sec or so) then flip the pan to turn it over, Let it cook for 30sec just to brown slightly. I put them in the oven in one of these Le Creuset roasting tins for 5 min to warm through before I serve! NOTD: 2True Crystal "Shade 4"
I've been really unwell with my frozen should and was struggling to get back to work this past week... Then I did a whole day of training for bumblebee surveying volunteers yesterday and went looking for otters this morning. I finally had time to put some nail polish on for the new week, and it's a scorcher! I am sure I have a hot fuchsia version of this polish too but I couldn't find it?.. These are still sold in Superdrug and they are £1.99 I think?